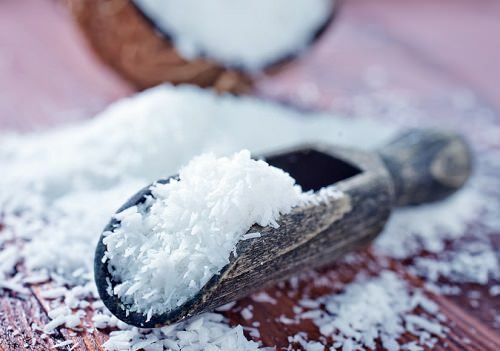 Adding shredded coconut to dishes gives it a chewy crunch and sweet depth of flavor. I’ve even tried coconut chips that are surprisingly delightful. Try sprinkling these into your baked goods or atop a salad to give it a tropical feel. One of my kid’s favorite desserts consists of scraping out the coconut meat and sprinkling on cinnamon (that’s it!) Coconut meat is high in those ever popular medium chain fatty acids, fiber, manganese, copper and potassium, so get your scoop on!